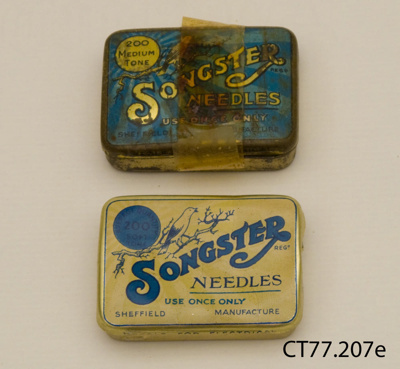 Gramophone needle tins; two tins of Songster Needles for playing gramophone records. The tins are printed in blue and gold with 'Songster Needles' and an image of a bird sitting, singing on a branch. 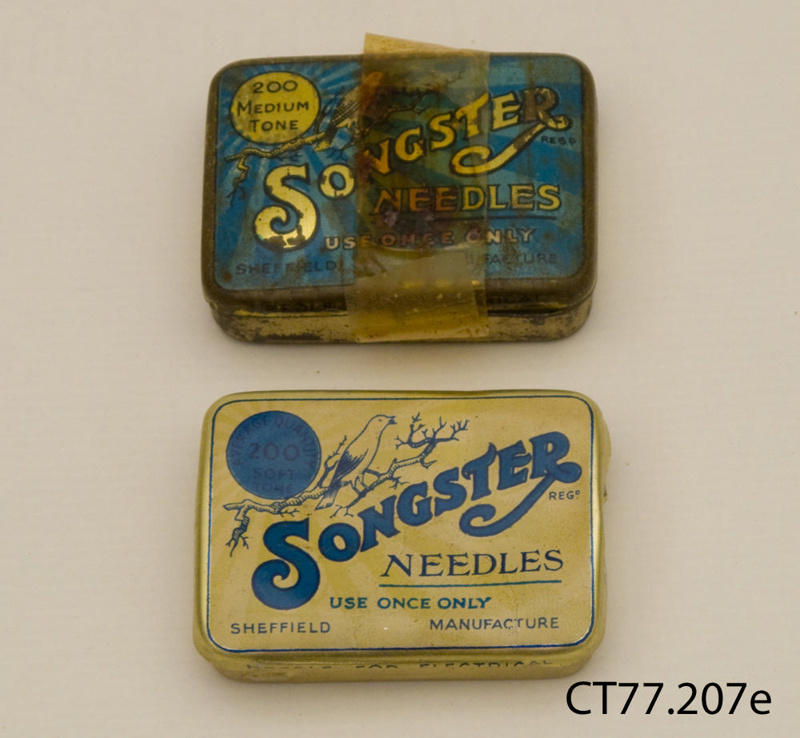 Both tins still contain needles. These were manufactured in Sheffield, England by J Stead and Co Ltd.